Product prices and availability are accurate as of 2019-04-12 18:17:58 EDT and are subject to change. Any price and availability information displayed on http://www.amazon.com/ at the time of purchase will apply to the purchase of this product. 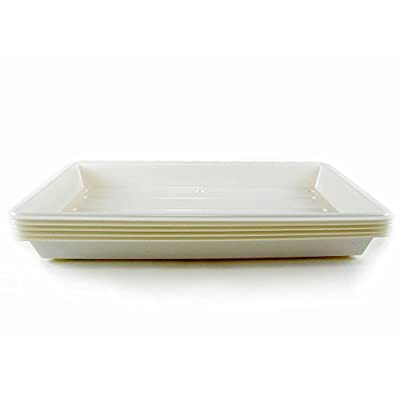 These heavy-duty, polystyrene, plant trays measure 22"x11" and have no drain holes. They are perfect for growing microgreens or for use as a greenhouse drip tray.